YouTube, owned by Google (Alphabet) took a giant dump on America this Thanksgiving Day, posting to Twitter a year-old Teen Vogue video of six teenage Native American girls angrily toppling a Thanksgiving dinner table. 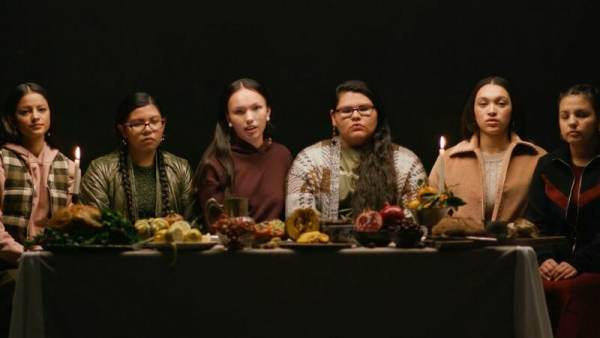 The YouTube tweet links to a Teen Vogue video posted to YouTube entitled, “Native American Girls Describe the REAL History Behind Thanksgiving”. This is the largest tech company in the world. This is what they are promoting. The credits for the video name the participants: Laurel Cotton, Daunnette Reyome, Evannah Moniz-Reyome, Kiera Thompson, Wacantkiya Mani Win Eagle and Wanbli Waunsila Win Eagle.